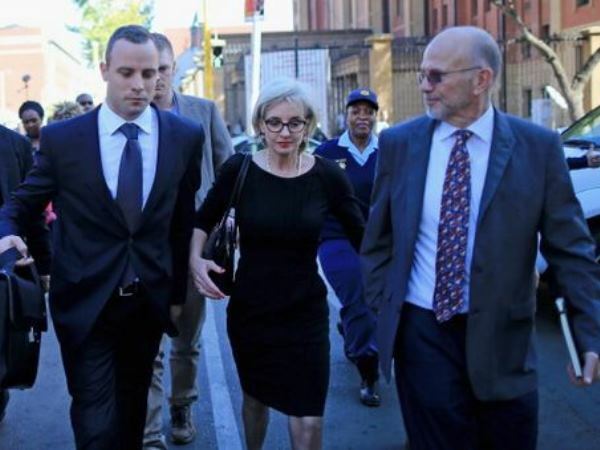 The law must take its course regarding the State's intention to appeal the conviction and sentencing of Paralympic athlete Oscar Pistorius, his family said on Tuesday. "We take note of the State's announcement. The law must take its course," his uncle Arnold Pistorius said in a statement. The National Prosecuting Authority (NPA) said on Monday the State would appeal Pistorius's conviction of culpable homicide and the sentence he received. "The merits and the demerits of the NPA's argument in this regard will become evident when we file papers for leave to appeal." Last Tuesday, Pistorius was sentenced in the High Court in Pretoria to five years in prison for the culpable homicide killing of his girlfriend, law graduate and model Reeva Steenkamp. For discharging a firearm at Tasha's restaurant in January 2013, he was sentenced to three years in jail, suspended for five years. The sentences would run concurrently Judge Thokozile Masipa ruled. Mncube said prosecutor Gerrie Nel and advocate Andrea Johnson, had been studying the judgment, doing research, and consulting legal experts to establish if there were sufficient grounds to lodge appeals. "The prosecutors are now preparing the necessary papers in order to be able to file within the next few days." Pistorius's defence team could not be immediately reached for comment.